Sacco and Vanzetti left a number of odd legacies. A lot of people in the United States, Europe, and Latin America still recognize their names. I’ve seen or heard them mentioned in The Sopranos and Sports Illustrated, in novels by Kurt Vonnegut and Phillip Roth, in random conversations. The largest pencil-producing factory in Russia was named after them, and generations of Russian children associated the names Sacco and Vanzetti with the pencils and crayons they used. There was a film in Italy, a tango in Argentina, a song by Joan Baez and Ennio Morricone, a punk band in Germany, a brand of cigarettes in Uruguay. There are streets named after them in Italy and France. They often come up when people give examples of past injustices, or more facetiously, when people want to denote famous duos, as in Abbott and Costello, Jagger and Richards, Sacco and Vanzetti. But in many ways, the Sacco-Vanzetti affair is still with us. Certainly the issues that animated it are very much alive. Americans today still do battle over the issue of immigration, and intolerance toward foreigners is still widespread, sometimes virulent, especially when times are hard. Europeans, Latin Americans, and other non-Americans are still concerned over, and in some cases outright hostile to, America’s presence in the world, and the way Americans handle international politics. And then as now, Americans are still divided over what was called, in Sacco and Vanzetti’s day, “foreign interference” in American affairs. 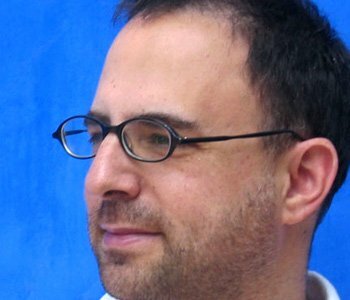 Whether it is the death penalty, or the health care system, or how to deal with terrorism suspects, or even who should be elected U.S. president, non-Americans have and will continue to have opinions, because the United States is so powerful and what it does domestically reverberates externally. Many Americans bristle at this but many others welcome this. It depends on whether they see the United States as an entity separated in principle from the rest of the world, or as a genuine part of the world—a world in which Americans have a stake in the lives of non-Americans, and vice versa. This issue divided Americans when Sacco and Vanzetti were what one magazine called “the two most famous prisoners in the world,” and it still divides Americans today. This, I believe, is the context in which the Sacco-Vanzetti affair took place. 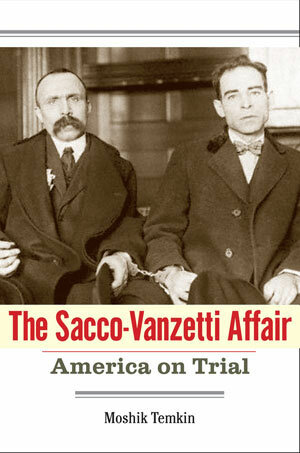 My book is not an attempt to end the discussion about Sacco and Vanzetti, or to provide a definitive account. My aim was to start a new conversation, one that would not be about guilt or innocence but rather about the Sacco-Vanzetti affair—its significance and place in history.